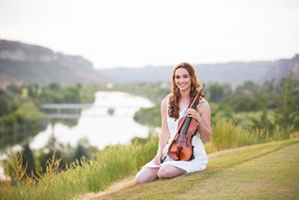 Cristo Shumake is a classically-trained violinist currently getting her Master of Music in Violin Performance Pedagogy at Arizona State University. She started playing violin and piano when she was three years old and decided to seriously pursue music when she had the opportunity to perform in Lyon, France when she was 14 years old. It was there that she was able to see the powerful and positive effect music has on people. Finding performance opportunities is something that Crista loves to do because of how music makes her feel and especially how it makes the world feel. She’s had amazing experiences performing in Carnegie Hall and with artists such as Cyndi Lauper, William Joseph, Josh Groban, and opening for Carrie Underwood. Crista is also currently in a music group called 92 Keys! They love creating their own fun arrangements of popular songs and creating awesome videos for them. 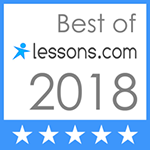 Crista also enjoy teaching music locally and abroad. In August 2015 she had a heartwarming opportunity to teach music to underprivileged kids in San Jose, Costa Rica for three weeks. This was a life changing experience and something she hopes to do again one day! Crista Guthrie is a lover of all kinds of music, and is quite the nerd within the classical community, so she hopes she can bring a new approach to classical music for those who are not as familiar with it. Crista is also Suzuki-certified and has been teaching at Kirk’s Studio since 2017.